Gina Haspel and the CIA have committed one of the most blatant abuses of power in recent history, aided and abetted by a total failure of Congressional oversight. I have asked again and again for some justification for Ms. Haspel’s self-serving classification decisions and every response I have received, in classified and unclassified settings, has convinced me further that those decisions have nothing to do with protecting sources and methods, and only to do with protecting her own image. That Haspel herself, as Acting Director, had the authority to make declassification decisions about documents related to her role in the rendition, detention, and torture program – a clear conflict of interest – further calls into question whether these decisions were being made in the public’s interest or her own. 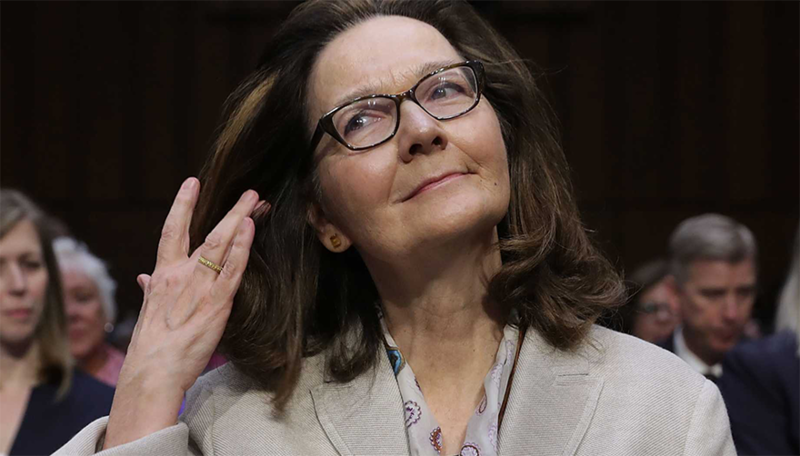 In her responses to Senators’ written questions after the hearing, Haspel refused to give an unclassified answer to such basic questions as whether she had any personal objections to the torture program at the time. It’s difficult to imagine how answering a question about Haspel’s personal opinion 15 years ago on a defunct program could possibly harm national security. Of course, the Senate and the public should never have had to rely on Gina Haspel to declassify her own involvement in the torture program. If the classification and declassification system functioned properly and more information about the torture program had been released years ago, Senators and their constituents would be in a much better position to evaluate Haspel’s fitness to be CIA Director. Open the Government has joined our partners and many members of Congress in fighting for more transparency around the CIA rendition, detention, and torture program for years, including calling for much-needed reforms to the national security classification system. In order for there to be accountability for such a dark chapter in the nation’s history, the public must have access to information about the program, as well as to the full Senate Torture Report and records used in the production of the report, Inspectors General reports, and documents from all other investigations into the program. Unfortunately, under the current, broken system, transparency and accountability are achieved only after long and costly court battles or whistleblower revelations result in access to classified secrets that should have been released years ago. It is estimated that between 50 and 90% of information labeled “classified” is done so improperly, and Congressional commissions and advisory committees have found overclassification to be widespread for decades. Experts, leaders in Congress, and presidential advisors have come to bipartisan agreements on a number of fundamental reforms that would significantly improve the system and ensure that Congress and the public are never again put in a position of relying on a nominee to selectively choose what to release about herself. Necessary reforms include a requirement that when decisions to classify or declassify information are made, authorities must consider whether the public interest in disclosure outweighs the potential damage to national security posed by disclosure. Expedited declassification review for documents where there is significant and current public interest is also essential, as are reforms to address overclassification of practices that are deemed “intelligence methods,” a major problem identified by Senator Wyden and others. Such reforms would likely have helped the public gain access to documents on Gina Haspel’s record and provided Senators with needed information well before any votes on her nomination. Although Gina Haspel may have been the beneficiary of an outdated and overly-restrictive classification system, we must ensure that future nominees are not similarly able to hide their histories to avoid proper scrutiny, and to be certain our classification system is used to protect national security, not hide embarrassing secrets or government abuse.